So I’ve been blogging for roughly 10 years, but it wasn’t until recently that I’ve been doing a lot of other work for different websites other than my own. And I’ve seen quite a few bloggers have a section like a disclaimer, press, and policy area that explains what they’re willing to do as far as guest posts, sponsorship, and reviews on their blogs. I’m not at a point where I’m ready to be sent things to be review (like physical things) or sponsorship yet, but I am open to doing some guest spots. 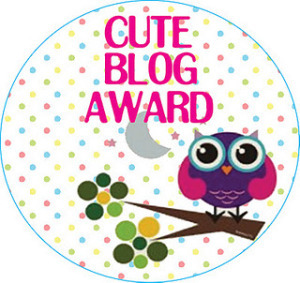 If you are looking for a guest blogger, you can send me an email at gotmeghan.blog@gmail.com. Let’s talk about what I can do to add a little spice to your blog or site! I will need time to write up the post, I usually need like a week or two to get everything ready and so I’m not rushing to get things finished. Again, I’m only LOOKING FOR WRITING OPPORTUNITIES! Disability – Anything that goes with disability! Ex: fashion, DIY, photography, etc. Lifestyle – Mostly life lessons or advice! DIY – Easy projects. No sewing or knitting! Music – ONLY if your music is on Spotify and/or YouTube! I usually do album, EP and music video reviews on Tuesday and Thursdays! As far as talking about an actual press pack, if you need some resources of the work I’ve done! I’ve gathered as much in the last three years for other bloggers and digital magazines! The Life Of A Thinker – Breaking Into The US Music Scene! Our Wolf Song – Writing Playlist 2016! Disability Horizons – Arthrogryposis Awareness Day: Have You Heard Of It Before? Disability Horizons – Can Photography Change Societies’ View of Disabled People?